Harlem Bespoke: West 113th Street by Morningside Park has had a huge empty lot on the north side for some time but now construction has come about. This new development at 310 West 113th is rather interesting since it will blend elements of the original architecture of the neighborhood. 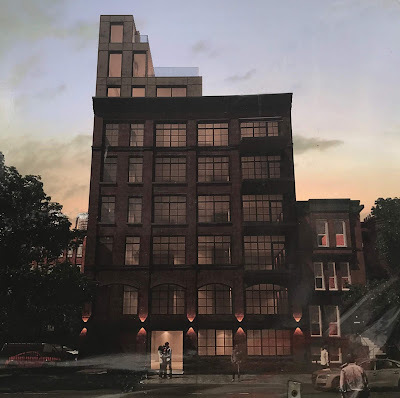 As can be seen from the digital rendering posted out front, the forthcoming building has a 19th century feel to it which will blend in visually with the neighboring brownstones. The majority of the new construction in this part of Harlem have been more on the modern side so these condos will stand out when they finish up in the next couple of years of so.